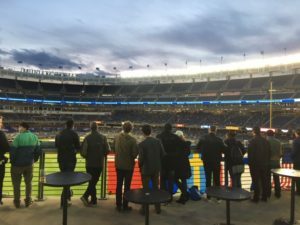 The American Scandinavian Society is proud to help sponsor “Scandinavian Soccer Day” at Yankee Stadium – a new exciting Annual Event we have developed together with the New York Football Club. This is our second year, and after such a successful first, we’re even more excited for the day! play it out on the afternoon of April 27th at Yankee Stadium! If we get over 100 tickets sold we will look to have a meet & Greet with a Scandinavian Player after the match (Limited to the first 100 purchasers). We will be able to proudly hang our flags in the same location as last year! Join us here on the deck for drinks and food before and during the game!